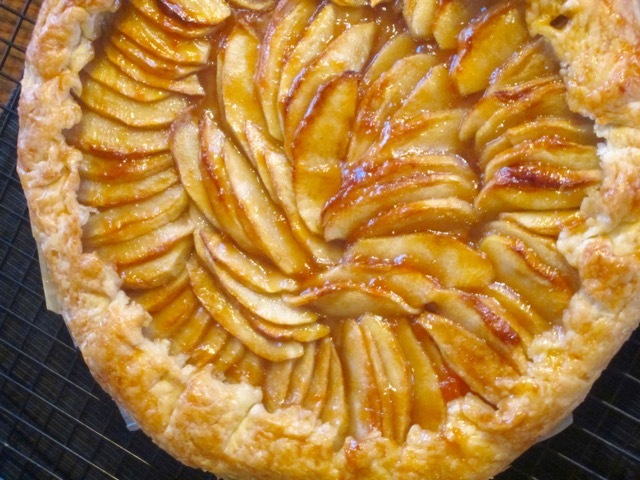 I made this tart last week and after that I wanted to make it again and again and again. The crust is the best part. It’s buttery, flaky and melt in the mouth. One of the best crusts I ever sunk my teeth into. I wish you a very pleasant week, ahead!!! until the butter is the size of peas, about 5 seconds. (do not over-process). 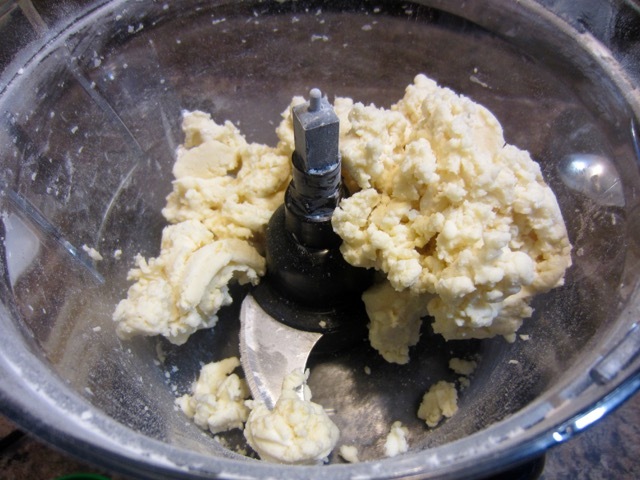 Sprinkle the ice cold water over the mixture and process until just moistened and it starts to form into a dough. (do not over-process). Turn the dough on to a lightly floured surface and bind, then knead 2 to 3 times, just until it comes together. Pat the dough into a disk, cover with cling film and let rest in fridge at least 15 minutes. Tip: It’s best to make this dough at the end of the day and let it rest in the fridge overnight. It gives the best results. On a lightly floured surface, roll out the dough into a 16-17-inch round about ¼ inch thick. 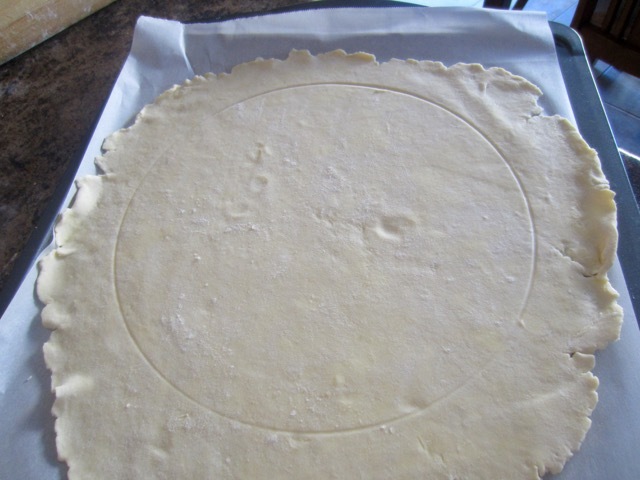 Roll the dough around the rolling pin and unroll it onto the prepared baking sheet. Combine 2 tablespoons of the (brown) sugar with the extra 1 tablespoon of flour in a small bowl, then sprinkle the mixture evenly over the dough. 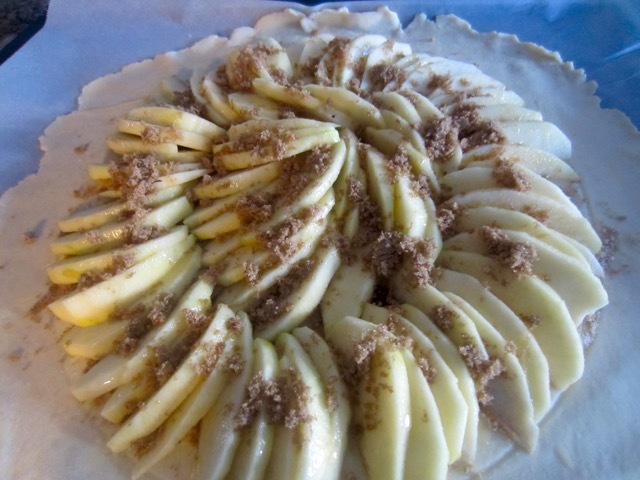 Arrange the apple slices on the rolled dough, in overlapping concentric circles, leaving a 3 -inch boarder. Brush the apples with the melted butter and sprinkle with the remaining 1 ½ tablespoons (brown) sugar. Fold the dough over the arranged apples in a free-form fashion. 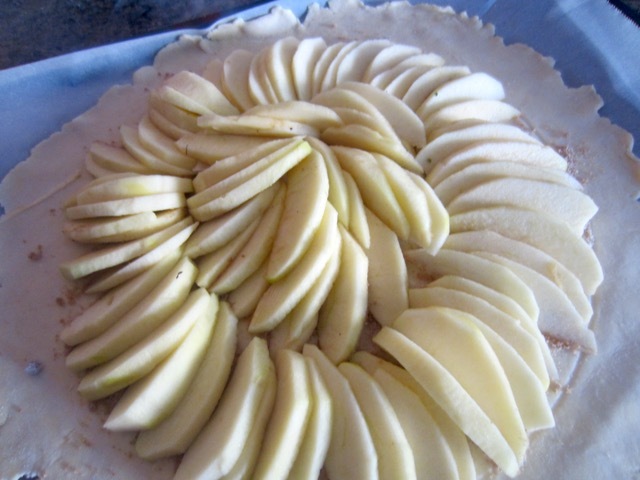 Bake the tart in the centre of the oven for 40-50 minutes, or until the apples are tender and golden and the crust is deep golden and cooked through. 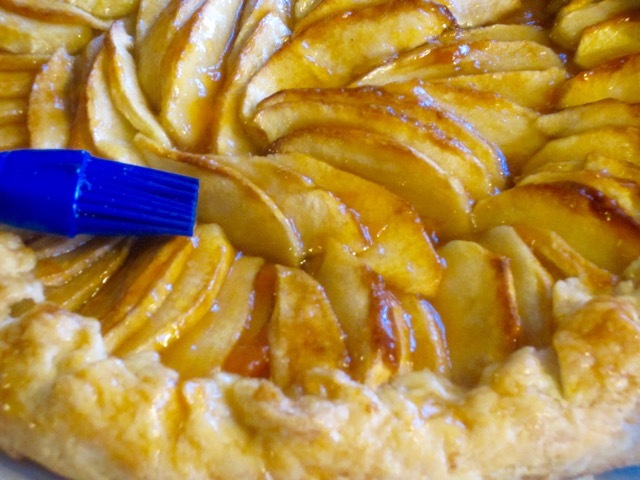 Remove the tart from the oven and brush the apples with the melted preserves (jam). 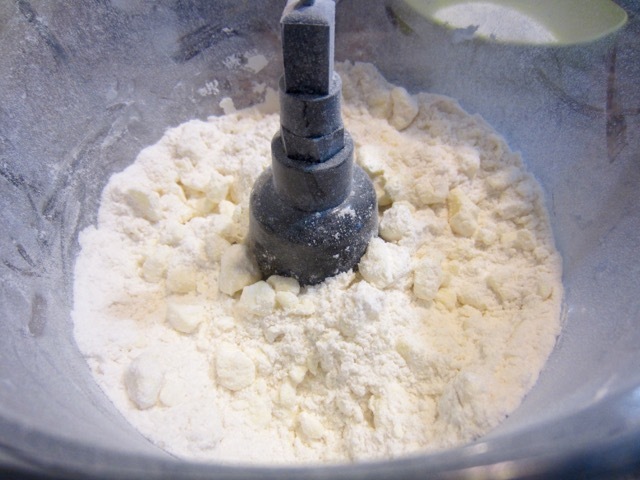 Turn the mixture on to a lightly floured surface and bind, then knead 2 to 3 times, just until it comes together. 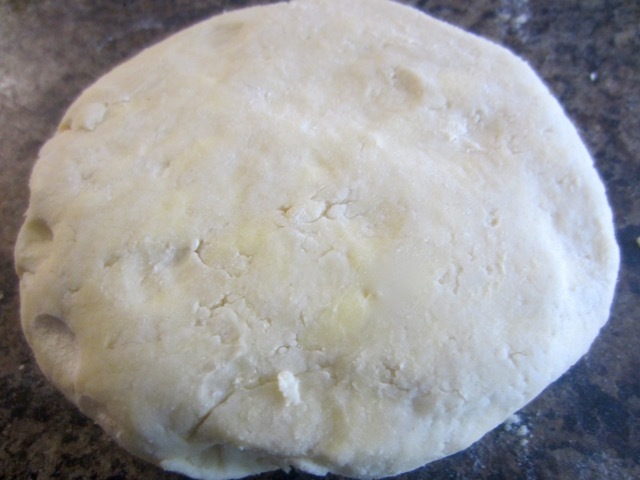 Pat the dough into a disk, cover with cling film and let rest in fridge at least 15 minutes. It’s best made at the end of the day and left to rest overnight in the fridge. It gives the best results. 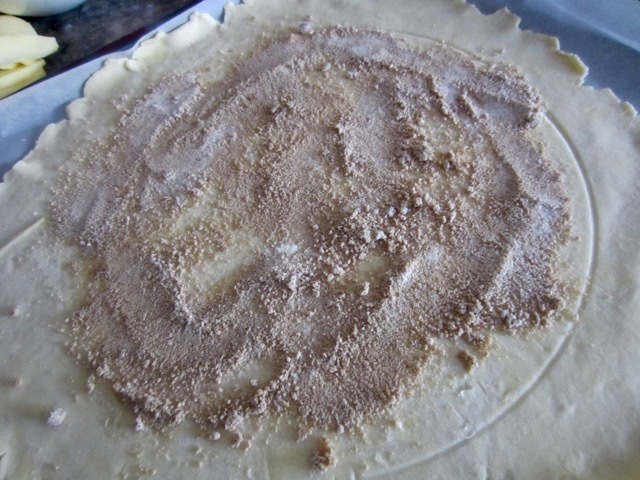 Refrigerate the unbaked tart until slightly chilled, about 10 minutes. 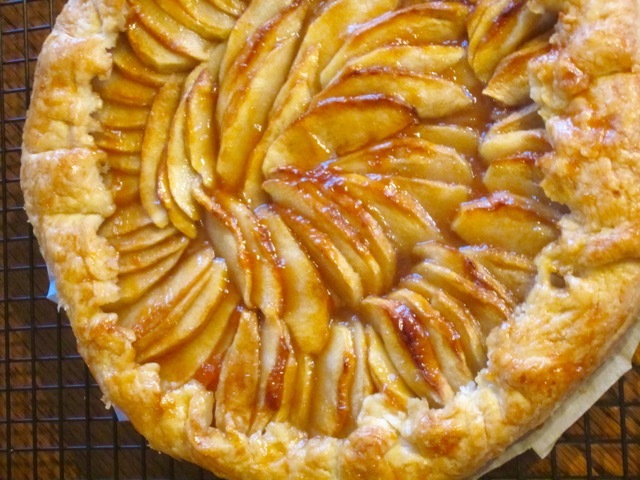 Optional: you can brush the tart with egg wash and sprinkle with turbinado sugar before baking. 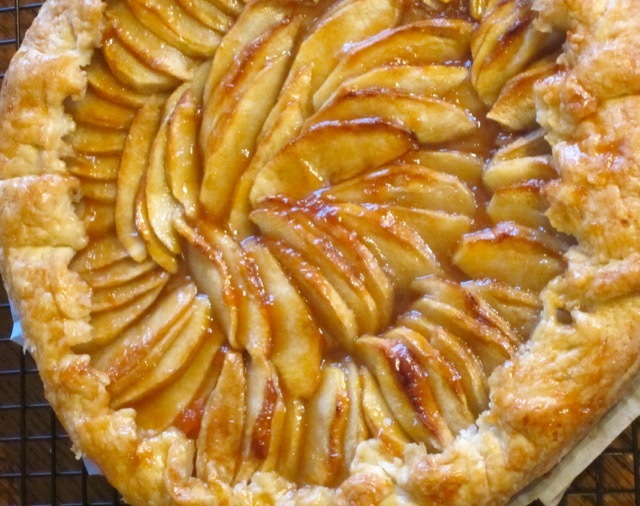 Bake the tart in the centre of the oven for 40-50 minutes, or until the apples are tender and golden and the crust is deep golden and cooked through. 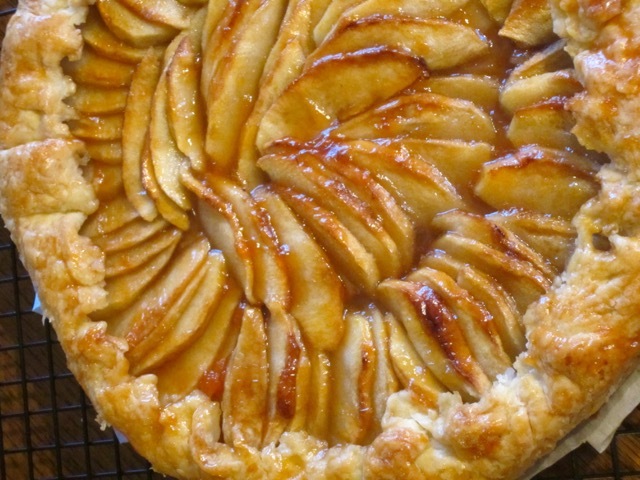 Remove the tart from the oven and brush the apples with the melted preserves (jam). 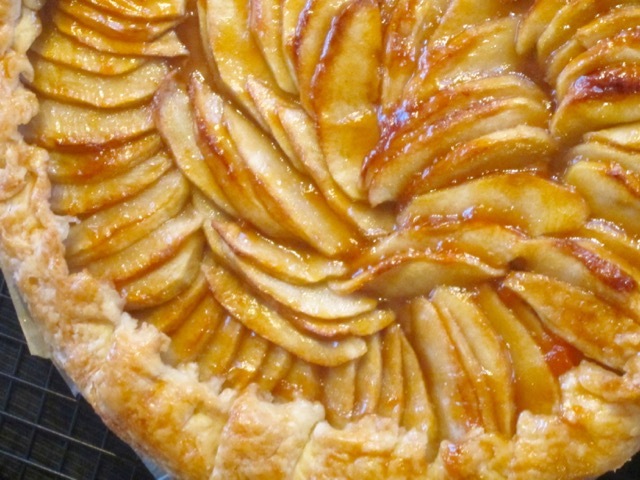 Slide the parchment onto a cooling rack and let the tart cool slightly before serving. The first time I made this tart, I baked it for one hour but the bottom was a tad too brown almost bordering on burning. I now bake it 50 minutes. 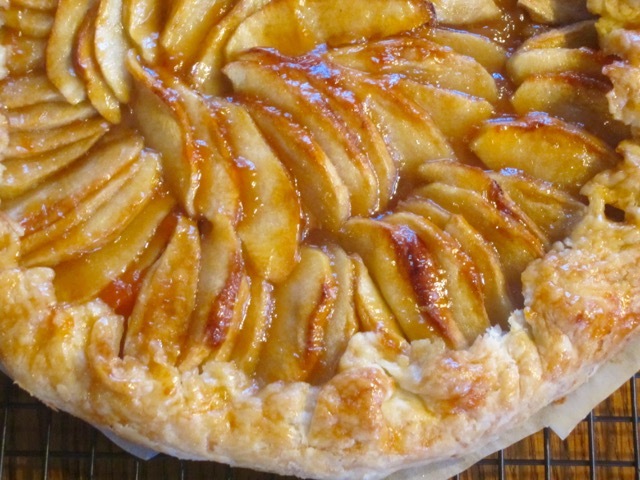 The baked tart can be stored overnight at room temperature. Reheat in a 325°F (160ºC) oven before serving. I have now made this tart at least 50 times and still continue to make it. It’s the best tart I ever had. 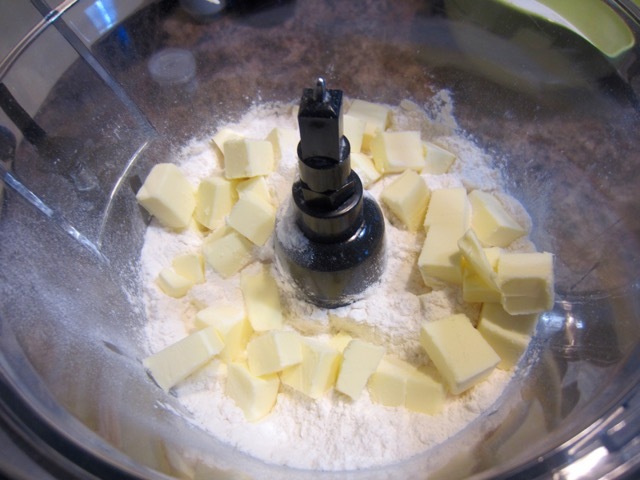 250g flour; 220g butter; 1/3 cup water +1tbsp. Dough=560g (280 x 2); apples 21/2 large; Bake 50 mins, switch off last 5-10 minutes. I absolutely love this! 💚 Tart looks to be quite tasty. Great post. This tart was a winner. Crunchy, buttery and melt in the mouth. We really enjoyed it! Gorgeous! 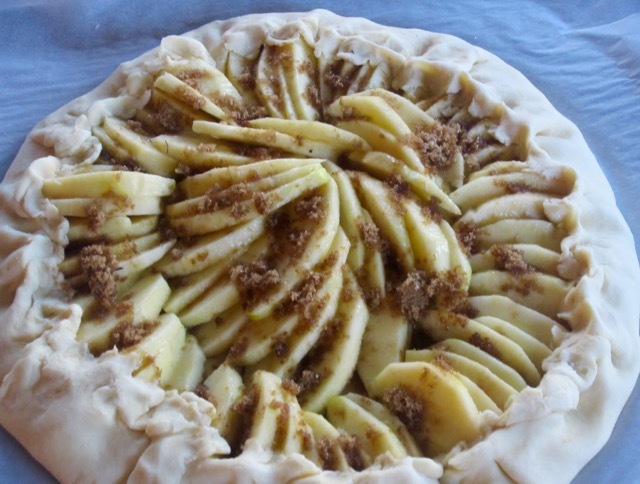 I love rustic pies and tarts, it doesn’t have to look perfect. Nope it just has to taste nice! Love them too! Tasted really nice, thank you! My favourite one! 🙂 Looks amazing! Thank you. Mine too and tastes amazing too! That crust looks great and so easy to put it together! Pit fruits are starting to come in, so I may need to save back a few nectarines and peaches to make one of these in a few weeks. It was awesome. I am planing to make it, again. Nice work on the presentation! Hey Ralph what are you doing in the kitchen? Let me have a peek! You are probably making a bone tart Ralph. How can I know?